For: Children who are 2-years-old by August 31. The best ‘preschool’ experience for your two-year-old is one where you are right by her side, so parents attend our class with their child every week. Your child will get exposed to all the activities that will prepare him or her for preschool, including paint, play-dough, imaginative play with friends her age, story-time, songs, and a little rambunctious play. Parent and child come to class together. During this weekly two-hour class, there’s a period set aside for Parent Education. Every other week you and half the parents meet with the parent education instructor for discussion and support while the other parents are with the children and their teachers. We offer a well-rounded, developmentally appropriate curriculum which stimulates all your child’s senses and motivates learning in all areas. We have large motor activities like tumbling mats, slides, riding toys, and outdoor play. Children build small motor skills with puzzles, shape sorters, trains, cars, and blocks. Imaginary play opportunities include dolls, toy kitchens, and dress-up clothes. During circle time, we emphasize pre-literacy skills with story time, sing lots of fun songs, and practice sitting still and listening to a teacher. Art experiences include play-dough, painting, collage, printing, and more. We focus on play-based learning, so children are offered many different activities to explore each week, and they decide how much time to spend with each learning opportunity. Your child will get many of the benefits they would get from taking art classes, music classes, attending story time, and having playdates with friends, but all rolled together in one place and time. 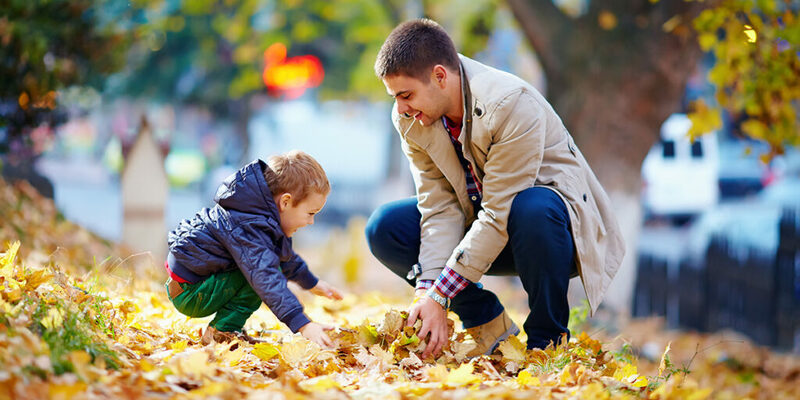 Toddlers learn best when they are surrounded by familiar people in a familiar, nurturing environment, and there is a reliable, predictable routine. Our classes are unique in how well they support the well-rounded development of children. Class time includes Parent Education sessions. Every week, half the parents meet with the parent education instructor for discussion and support while the other parents are with the children and their teachers. At first, your child may want to sit on your lap during parent education, but soon he will discover that the room designed for him by the children’s teachers is a much more interesting place to be. During this developmental period, your child goes from needing you right by her side to preferring imaginative playtime with a friend. These blossoming early social exchanges lay the foundation for friendships that come later. As the children play more and more together, parents have time to develop their own friendships with other caregivers – moms, dads, grandparents, and nannies. Locations: Bellevue (Crossroads and Eastgate neighborhoods), Issaquah, Mercer Island, Renton, Sammamish, and Snoqualmie. Click on the class name below to see a map. Tuition cost is $245 per quarter (fall, winter, and spring), except for the two-day-per-week Sammamish Young 3’s class and the Two-Day Crossroads Bellevue 2nd Year Toddlers class, which are $490 per quarter (fall, winter, and spring). Parent Education Program fees include parents’ Bellevue College tuition as well as tuition for the children’s program. Scholarships are available to registered families in need; a confidential application is made through the class instructor.